The Council on Foreign Relations has produced a new report arguing that the United States needs a new grand strategy vis-à-vis China. Specifically, the United States must adapt its policy from “continuing to assist [China’s] ascendancy” to balancing the rise of Chinese power worldwide. The authors of the report, Robert D. Blackwill and Ashley J. Tellis, argue that Beijing’s attempt to fundamentally alter the balance of power in Asia conflicts with the central objective of U.S. grand strategy in the twenty-first century: U.S. supremacy within the global system. Because the American effort to ‘integrate’ China into the liberal international order has now generated new threats to U.S. primacy in Asia — and could eventually result in a consequential challenge to American power globally — Washington needs a new grand strategy toward China that centers on balancing the rise of Chinese power rather than continuing to assist its ascendancy. There is no better basis for analyzing and formulating U.S. grand strategy toward China than connecting that strategy directly to U.S. vital national interests — conditions that are strictly necessary to safeguard and enhance Americans’ survival and well-being in a free and secure nation. and promote the health of the international economy, energy markets, and the environment. and avoid a major confrontation with the United States in the next decade. While the report’s description of the strategic situation of the United States and China in the early 21st century is well thought through, the recommendations are hugely disappointing and do not provide any true guidance for policymakers, nor do they offer any particularly new insights for U.S. policy makers on China (you can read them here). Washington simply cannot have it both ways — to accommodate Chinese concerns regarding U.S. power projection into Asia through ‘strategic reassurance’ and at the same time to promote and defend U.S. vital national interests in this vast region. This is a problem that permeates U.S. foreign policy across the globe on a host of issues. And while this is a rather simple but true analysis from a realist’s point of view, the authors unfortunately do not offer a meaningful remedy for this predicament except the usual “Gathering Storm” rhetoric. 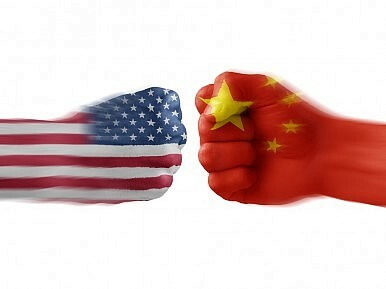 How America and China Have Different Visions of International OrderAIIB: China's 'Phase Zero Operation'?Does Sino-US Competition Mean a Zero Sum Game?Achieving Peace on the Korean PeninsulaHow Real Is the Chinese Threat to the United States?